My husband has been requesting for a cinnamon bread for a long time because nobody is selling cinnamon bread here in Singapore except for the cinnamon pretzels from Auntie anne’s. 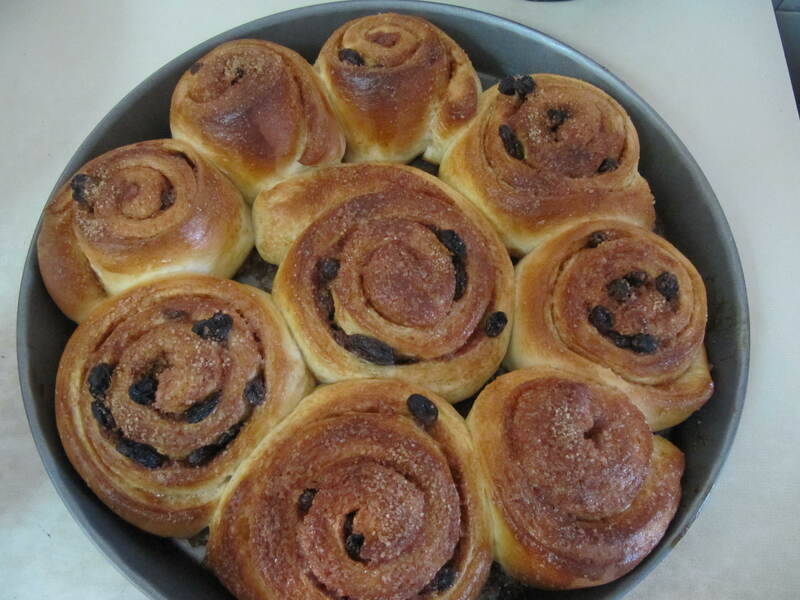 Cinnamon bread is a personal favorite of mine. I usually ask Patricio, Lolo Clauds, Richard, or even Krisby (the best bakers and pattisiers and chocolatiers I’ve ever met and worked with) or my ninang Klay who is the best bread R&D there is who can “copy” any existing bread recipes in town. I am actually trying to copy cinnabon’s cinnamon bread patricio gave me the recipe before but I think I lost it. so now, I’m starting from scratch My aim here is too achieve the bread itself, toppings will come next as it is easier. The thing is, I’m just using a home-baking mixer (Kenwood) in which case, it is sooooooo difficult to achieve gluten development. It took me a long time to do so. Good thing I used cold milk otherwise, my dough will be toasted hot. The Result? first, I over baked it wehehehe BUT the texture of the bread is good and soft. the outer skin, since it was over baked, came out to be a little bit ”gummy” (my husband’s term, and he loves it that way) My husband loved it, my friends and sister too and most of all the kids of ais and macoy liked it. 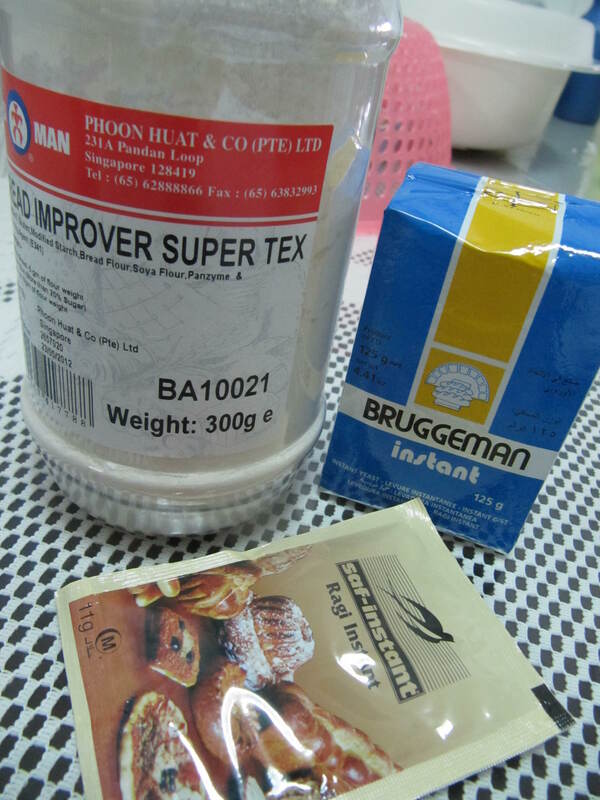 White Sugar – 200 g.
Cinnamon Powder – 30 g.
* Fermentation and proofing time depends on the yeast used. 4. Mix the dough until the gluten is developed. To check if gluten is developed, take out a piece of the dough, stretch it out, if a plastic-like appears in the middle, then the gluten is well developed. Just make sure that the dough is not hot or not more than 40degrees Celsius. 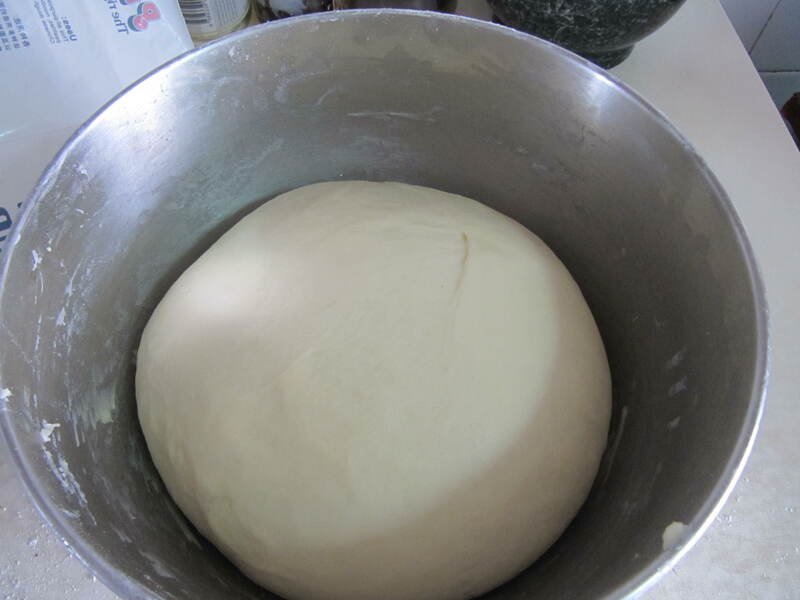 5.Once gluten development is achieved, form the dough into a ball and cover with plastic. Ferment for 60 minutes or until the dough doubled in size. 6. Cut the dough in two. Round and rest for 10 minutes. 8. 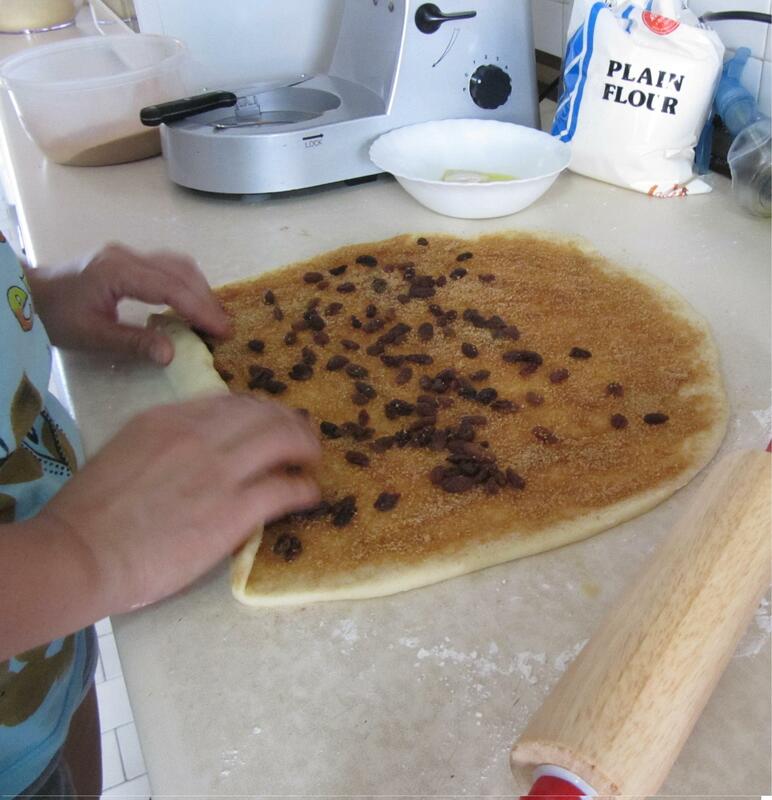 With a rolling pin, roll out dough to make a sheet. Brush dough sheet with the melted butler. 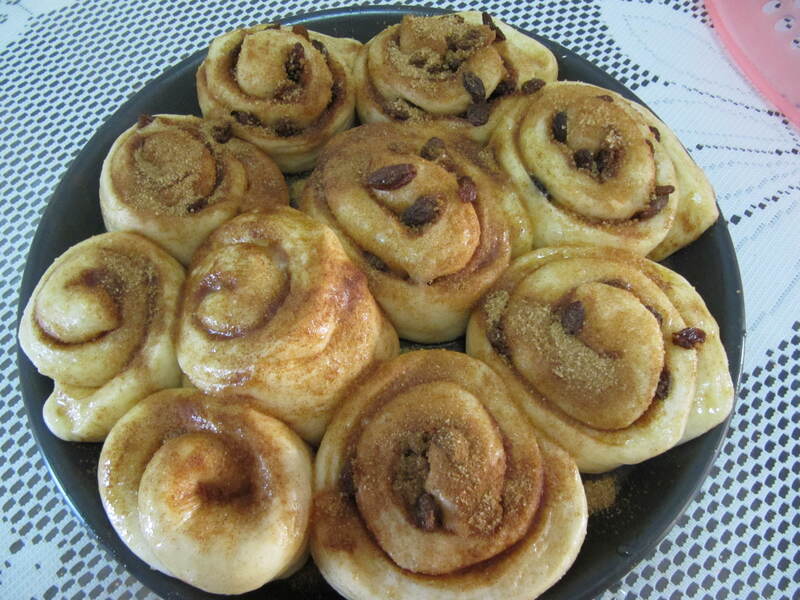 Spread half of the cinnamon-sugar mixture on the dough. Spread some raisins on top. 10. Put cut dough into a greased baking pan and proof for 60 – 120 minutes or until the dough doubles in size. 12. After proofing, brush the sides of the dough with the egg wash.
perfectly made indeed for a beginner..practice makes perfect sis!!!congrats!!! Where do you get your inspiration for post ideas? I've been thinking of coming up with my own blog but don't know if I could write as good as you. Any tips for a newbie to the blogging world?